The Social Economy and Sustainability Research Network held the Policy Colloquium from September 30 - October 2, 2009 with over 100 participants in attendance. The agenda (with workshop information), Presentations, Cafe Session posters/handouts and speaker audio files are available on their website. Background papers/information is also available. Please click here to access this website. 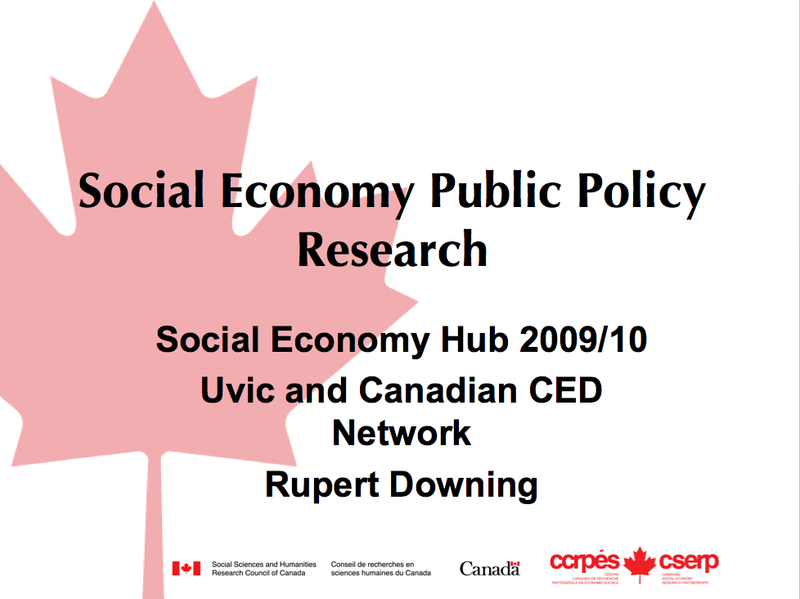 Social Economy Public Policy Research by Rupert Downing. Halifax, September 30 - October 2, 2009. Click here for the PPT. 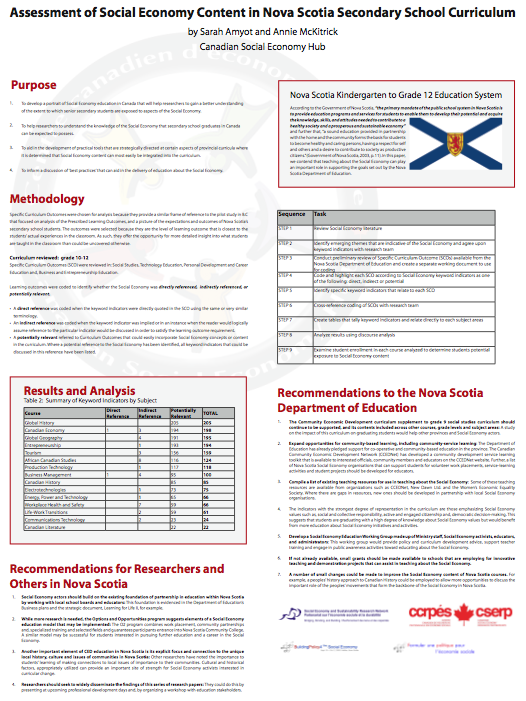 Assessment of Social Economy Content in Nova Scotia Secondary School Curriculum by Annie McKitrick and Sarah Amyot. Presented at the Building Policy for the Social Economy Colloquium in Halifax, September 30 - October 2, 2009. Click here for the poster.